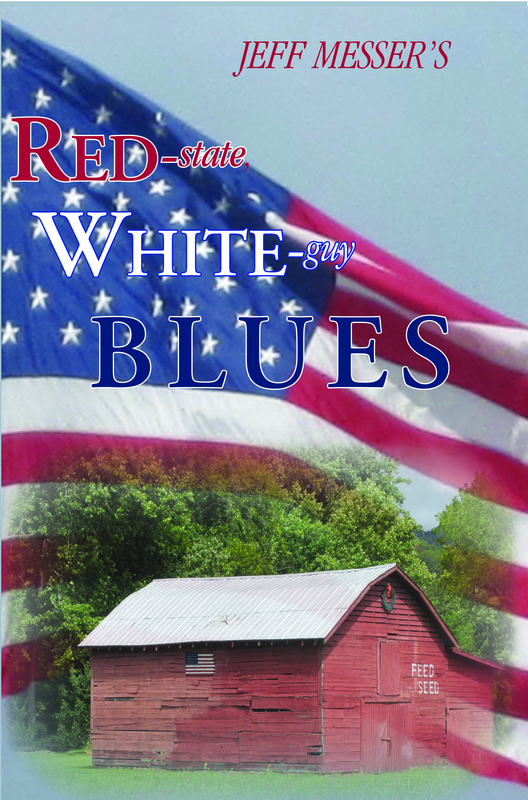 Red-state, White-guy Blues is Jeff Messer’s scathing indictment of the political scene in western North Carolina and the state government in Raleigh. The book reflects and builds upon his experience as host of The Jeff Messer Show on 880 The Revolution AM radio on iHeart Media. With a skeptical–but never cynical–eye on the leading lights of the right (wing) and their jihad against the environment, infrastructure, laws, and citizens of “The Old North State,” Messer stands up and speaks out on behalf of the 99 percent of Tarheels who can’t compete with Art Pope‘s deep pockets and Pat McCrory’s attitude of devil take the hindmost. A native of Waynesville—which he describes as “30 miles west and about 10 years back from Asheville”—Jeff is the xenophobic right wing’s worst nightmare: a homegrown, hometown southern liberal with a keen mind and honest tongue who knows just how much the truth can hurt. 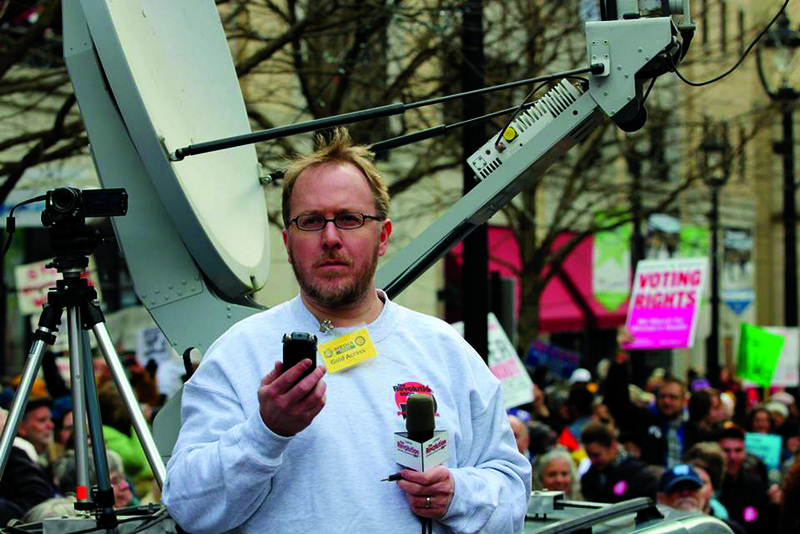 Bill Press, host of the nationally syndicated The Bill Press Show, says, “No wonder Jeff Messer’s reputation has spread far beyond North Carolina. He’s one of the best informed and most colorful talk show hosts in the country. Read this book and you will laugh until you cry and start uttering “Messerisms” in your sleep. 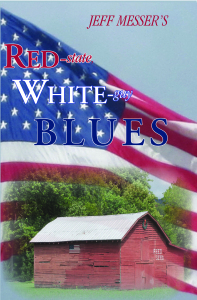 Red-state, White-guy Blues is the ideal Christmas or holiday gift for anyone engaged or interested in, or affected by, what’s going on in Raleigh–and that’s all of us. Click here to order for pre-holiday delivery, or email pisgahpress@gmail.com. Jeff Douglas Messer got his start at a young age, writing the spring play for his fifth-grade class. A decade later his first professional play was produced by Haywood Arts Regional Theatre in his hometown of Waynesville, NC. It was the first approved play about the famed composer Irving Berlin. Many plays followed, as did an exciting opportunity to tour as an actor with Trio Productions, which ultimately took him to the Festival Fringe in Edinburgh, Scotland in 1993. Center College Short Play Competition. Many of his plays found their way to becoming finalists in play competitions, and in 2000, Robin Hood, The Legend of Sherwood” (co-authored (with Robert Akers) became a commercial and critical success, spawning a series of scripts based on the legend. Jeff opened his own theater company in Asheville, NC in 2002. He continued collaborating with other theater professionals, co-writing (with Andrew Gall) a new adaptation of Bram Stoker’s Dracula in 2003 to bring the book to life on stage. In 2004, he worked with the Thomas Wolfe Association to produce, edit, and adapt Wolfe’s first play, Welcome To Our City for a small-cast production. In 2008, his anti-Iraq War play, This War Is Live, premiered in Charleston, SC at the Footlight, followed in 2009 by his biographical play Esley: The Life and Music of Lesley Riddle for Parkway Playhouse, in Burnsville, NC. Further productions of “Robin Hood,” and “Dracula” followed in 2010 and 2011, and 2013 brought his original Sherlock Holmes adventure, “Sherlock Holmes Returns, or the Curse of the Bloody Heart” to Parkway’s stage. A lifelong fan of comic books, Jeff is also working on an adaptation of Mike Grell’s Jon Sable character for stage, and hopes to add Robin Hood and Sherlock Holmes to that medium. His current project is a screenplay about Abraham Lincoln’s mother, and the legend that Tom Lincoln was not his true father, which is slated to begin filming in early 2015, with a 2016 release planned. Jeff is married and lives with his wife, Kelli, her two kids, and his son, in Asheville, NC.